Gaiters - which ones for hiking or backpacking .... and why? You are here: Home / Clothing / Gaiters – which ones for hiking …. and why? Gaiters – which ones for hiking …. and why? Gaiters are like boots, with different ones designed for different jobs. But are they just handy little accessories or wouldn’t-go-withouts? With a good range to choose from according to durability, weight, length, latest technology and price, have a look at the gaiters available in your local outdoor shop and online. My gear criteria are fairly minimal – I like gear that is light – but I am not fanatical – airy, and that will keep me dry, and even though I tend not to wander off the track, I want protection from prickly scrub if nature calls. So my new gaiters had to be light, waterproof and reasonably durable. I like to buy from Australian companies, so I first checked the Sea to Summit range. I struck it lucky, because their Alpine Gore-tex gaiters met all my criteria, and were reasonably priced at $76. Since I bought mine, the waterproofing has been changed to eVent, but the price has stayed the same. My gaiters have done the OT twice and have so far lived up to their promise, as they kept me and my pants dry on the very wet and muddy track last year. They are lightweight and easy to put on and get off and the Hypalon boot strap shows no sign of wear. To store, I just scrub the mud off, re-waterproof, dry thoroughly, and toss them in my boot box with Hippo. I volunteer at the Woodford Folk Festival, and last December it was steaming hot, wet and extremely muddy. I wore my gaiters comfortably every day for the whole week – which really tested their breathability. My husband and sons prefer the heavier Sea to Summit Quagmire Canvas gaiter, because the wide front Velcro crossovers give their shins good protection rock scrambling. Being canvas, they weigh a lot more than mine, but the boys seem happy to trade the weight for this extra protection and durability – and the gaiters are so far standing up well to the heavy use. They cost about $70. If you are not keen on the weight of canvas, Quagmire also come in lighter, breathier eVent. There are many other brands available, so when you are in need of some new gaiters, or want to buy some to give them a go, have a bit of fun searching out the common and the obscure. Here are a few sites to tempt you – in alphabetical order. Let us know what you think about gaiters – are they just handy little accessories, or do you never walk without them! Researching Nordic Walking got me enthused about getting fit (again) – especially as a few sites say it is not that hard. Over the next four weeks I will explain how I should train for walking, using an interval programme to get me fit without injury. Does that appeal? Sheesh – skip all that stuff (except maybe in winter). Get yourself some trail runners and go with Simblissty Leva Gaiters or a pair of Mountain Laurel Designs eVENT gaiters and be done with it. Never walk without them. Last spring did part of the Heysen Trail and didn’t take them (it was warm and NOT Tasmania), but regretted it constantly. In the mornings the long grass was dewy – so saturated lower legs – and there were scratchy bits too. Doh! Your future getting-fit info sounds very appealing. Sea to Summit Quagmire for me. Just the Canvas ones, not the eVent. Tough & reliable. I bought a pair of NZ’s Cactus gaiters (model : Watergaiter) a year or so ago and so far have been very impressed indeed. The company is known for making bomb-proof gear in their Christchurch factory (it’s a rare treat nowadays to be able to get something made locally and not in China). They’re made of Japanese waterproof fabric too so they’ve got pedigree. Only complaint I have is that Cactus don’t make a size small enough for my wife. She’s worn out two pairs of other brand gaiters (lots of stream crossings, bush bashing, mud and more where we tramp) in the same time period, and I get such a watertight fit around where the bottom of the gaiter wraps around my boots that my feet stay bone dry in water below my knees. No such luck for my wife. The gaiters also show very few signs of wear. I have a pair of Mountain Designs ones, not sure the model. They are short, which I like in the warmer weather. When I first got them I didn’t put the elastic straps right under my boot and were damaged. So they are now taped up! I recently purchased some canvas Sea to Summit Quagmire’s just as they were introducing the eVent ones, so I got them a bit cheaper. A week later I went for a walk in the Grose Valley with the Mountain Designs in thick scrub. My legs got cut to pieces. The second day I wished I had the full length Quagmire’s with me. In Europe I really like the Trek-mates gaiters. Like the designs which have the zips up the front – much easier to get on and off. I’ve had standard goretex but also goretex xcr which were a bit more expensive but I really noticed the difference in the amount of condensation. In fact one day I wore a standard one of one leg and an xcr on the other leg and the difference was quite noticeable. Use gaiters a lot for snowshoeing and winter stuff but don’t have to worry to much about getting wet legs in the summer here in the Pyrenees! You’ve forgotton a very important player in the gaiters market – those from Dirty Girl Gaitors. Well… maybe not. They seem to be made for trail shoes, I’m not really offering it as a serious solution they are not practical in any way, I can’t think what their walking purpose is, but they are hilarious. Lol, Love em! Love the pic here: https://picasaweb.google.com/jez.blog/BeyondTheHeysenStage3MtHopelessToArkaroola#5593863458335437714 They are sort of like, iridescent tiger skin! There are so many brands and types of gaiters it is hard to choose. My wife and I are really looking for something that could protect us from possible snake bite and of cause the dreaded spear grass. Tough question. We use the (more expensive in the line) Sea to Summit . Think they are the quagmire. Things to look at are the width of the velcro, quality of the sewing, strength of the strap that goes under your boot and the ease of pressing in the “press stud”. We initially bought cheap ones and they just did not last…..
Hope this helps a bit, tough decision. Hi! My son and I will be wlaking the Routeburn track soon. We are fairly new to the hiking scene, and have noticed a few people advising the use of gaiters. Has anyone reading these posts walked the Routeburn? If so could you advise on the sort of gaitors my son and i may need for that trek? any helpful information is greatly appreciated. 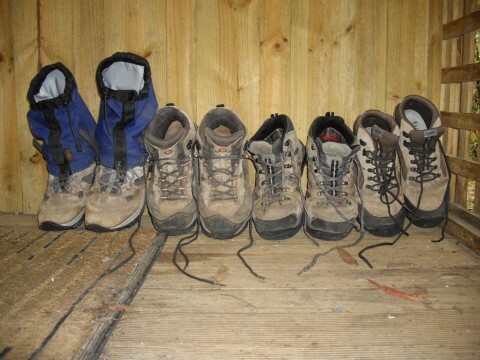 My partner and I walked the Routeburn in March 2012. Unless you plan to walk the North Branch you won’t need gaiters for scratch protection. However you will find waterproof gaiters useful when it rains. I wore Outdoor Research Salamander gaiters which are ankle length (with shorts and a long Hollyford jacket). They did the job well in light to moderate rain but my socks and boots did get wet after walking several hours in heavy rain. My suggestion would be lightweight eVent or Goretex gaiters that are breathable whilst being waterproof. I’m envious! I’d love to walk the Routeburn again. We did the Milford and Hollyford at the same time and found the Routeburn the most enjoyable. The Hollyford was definitely the most challenging… the Demon Trail is aptly named! 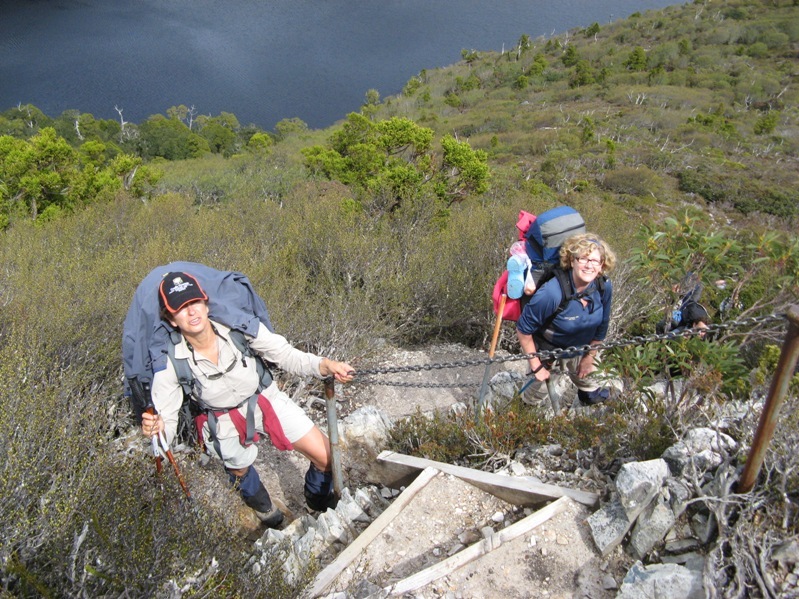 If you get the opportunity, a beautiful, easy walk would be a return, overnight hike on the Track from Hollyford Road end to Lake Alabaster Hut. Don’t waste your money on the sea to summit [summit model],they will ruin your boots.Speaking from experience. Any recommendations for younger kids? They are small, still at 7&9 years and needed mainly for dry off track day/ overnight walks so looking for snake and grass/stick protection really. Any info on shoes for that age would be handy too! Not too up to date on young ones gaiters and boots sorry Andrew. 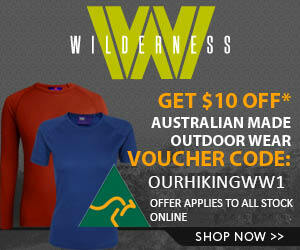 I reckon heading into a good outdoors store will get you headed in the right direction! Dart/Rees Track in NZ just after Christmas. Gaitors for the rain will be good I understand, but will I need anything more durable?